The 33,000 overwhelmingly popular high selling bull of the 2015 Musgrave Angus Sale. 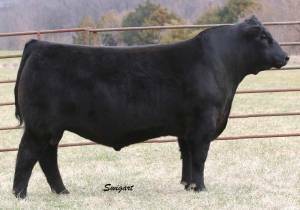 Selected by Panther Creek Ranch, Peterson Farms, and McLand Angus to carry their programs forward. in a calving ease package. The first calves have all been born unassisted and have a great “look”!